A stunning spot, but a dying church. The red brick building is away from its village and towering over the valley, which falls away over wooded countryside to the Thames in the distance. Breathtaking. If the church was open, there is no doubt it would become a spot of regular pilgrimage, but in their ignorance the PCC keep it locked without a keyholder notice, and so it will soon fall prey to vandalism and break-ins. Very sad. 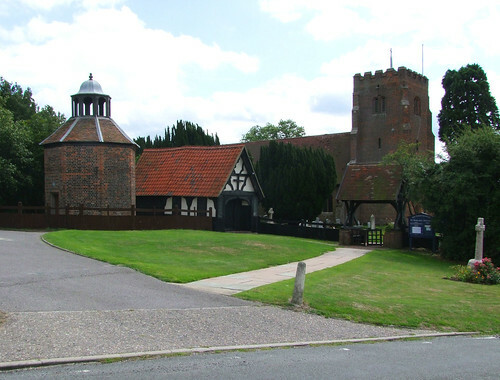 There is an 18th Century dovecot and stables on the edge of the churchyard. It really felt as if this one should be open.